The Black Brown Terracotta Casserole Tagine Dish in Small is perfect for those that love cooking and experimenting with exotic cuisines. 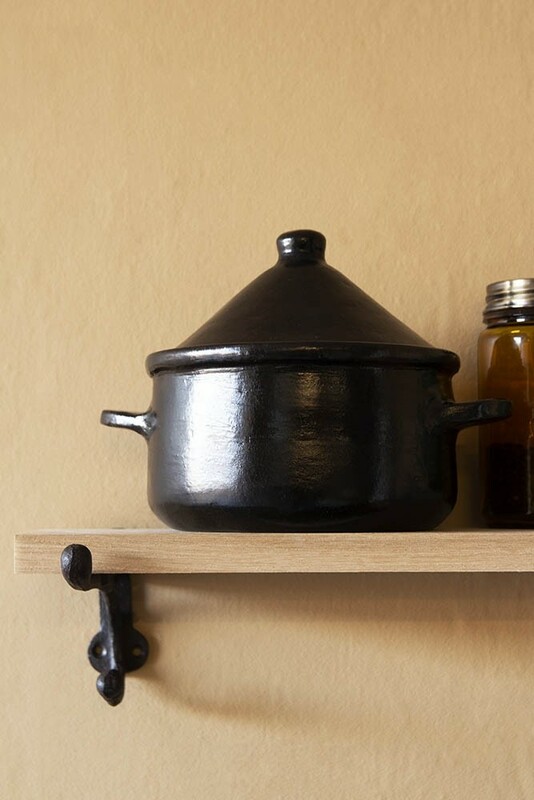 As part of the Black Brown Terracotta collection of artisan cookware, the terracotta tagine pot is a stylish addition to the hardworking home kitchen. Handmade from Terracotta in a rich, earthy colour palette, the dish measures 18cm in height x 24cm in width x 15cm diameter. .Compact in size, the terracotta tagine pot is ideal for small family dinners and cooking up comfort food, from casseroles to winter warmers and slow-cooked Moroccan stews. Beautifully designed in rich black and brown tones, the subtle handmade finish ensures a collection of cookware that you will want to keep for many years to come. 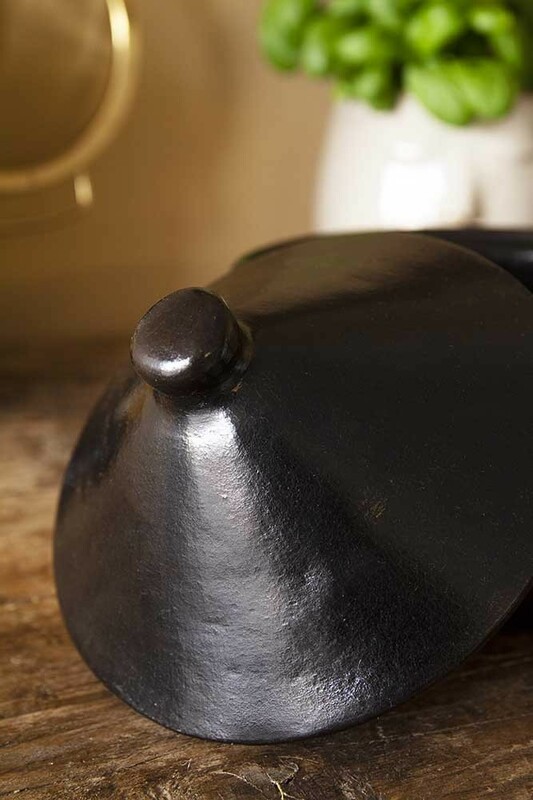 Combining style with practicality, the Black Brown Terracotta Casserole Tagine Dish deserves to be displayed. Style your tagine dish on open shelving and pair with glass storage jars, the Black Brown Casserole dish and a few of your favourite cookbooks to add artisan character to the kitchen.